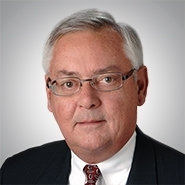 Chicago, Ill. — The national law firm of Quarles & Brady LLP today announced that Chicago partner, W. David Braun, will receive the Niels Friedrichs Legacy Award from the German-American Chamber of Commerce of the Midwest (GACC Midwest). Mr. Braun will receive the award at the GACC Awards Gala, a nationwide celebration of excellence in German-American business, at the Intercontinental Hotel in Chicago on October 28. Under his guidance, GACC Midwest saw continuous growth of the organization through the introduction of many progressive initiatives, such as expanding the Chamber's consulting services for medium-sized German businesses, and bringing German-style dual apprenticeship programs to the United States. His guidance has also led to the continued growth of the beloved Christkindlmarket in Chicago, including the newest location opening this winter in Naperville. He joined GACC Midwest’s Board of Directors in 2000, becoming Chairman in 2003. In 2013, he was elected as the inaugural Chairman of the Board of the German American Chambers of Commerce (GACCs), comprising seven offices in the US. He currently serves as the Vice Chairman of the GACCs. He will step down as GACC Midwest’s Chairman in 2017. The award is named after the Chamber's first Managing Director of over thirty years, Niels Friedrichs. David Braun is the second recipient after former President & CEO of GACC Midwest, Simone Pohl, who received the award in 2015. "I'm very honored to receive this award," said Braun. "I have enjoyed my time serving GACC and will continue to support them in the future." Braun is a member of the firm's Business Law Practice Group, where he focuses on U.S. and foreign corporate, licensing, and antitrust law. He represents principally U.S. client interests in Europe and European clients in the U.S., including the establishment of new businesses and joint ventures; licensing of intellectual property, mergers and acquisitions, including distributorships and sales representative agreements, antitrust counseling, and litigation with respect to such matters. He received his law degree from the University of Notre Dame Law School and his bachelor's degree, with distinction, from the University of Illinois. He also studied law at the University of Munich and was a research assistant at the Max-Planck-Institute for Foreign and International Patent, Copyright and Competition Law in Munich. The German American Chamber of Commerce® of the Midwest (GACC Midwest), headquartered in Chicago with a branch office in Detroit, was founded in 1963. GACC Midwest is an integral part of the network of German Chambers of Commerce Abroad (AHKs) with 130 offices in 90 countries around the globe. Our continuing mission is to assist in the expansion of bilateral trade and investment between Germany and the United States, especially the Midwest. Our organization combines elements of a trade commission, a membership association, and a professional consultancy.